Our original no B.S. chocolate chip cookie. 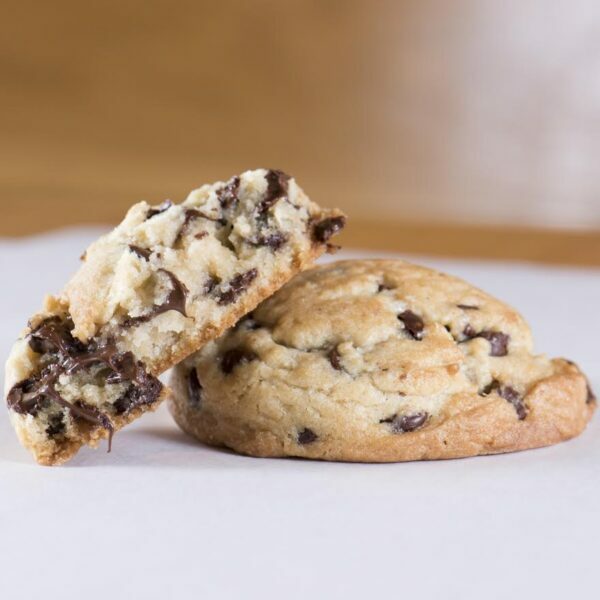 Doughy, thick, and crammed full of chocolate (we put 10 pounds of chocolate chips in every small hand-made batch!). This box includes six of our cookies, packed by hand in our San Antonio storefront specifically for you (they make a great gift, but we won’t blame you if you decide not to share). This listing is for boxes of 6 cookies—if you’d like boxes of 12, click here.